Welcome to Cancun Jet Charter, the most all-inclusive, efficient, and transparent air charter service for private flights to Mexico’s world famous holiday resort. When booking a charter flight with us, you gain experienced jet brokers who are ready to advise and arrange all the details of your upcoming flights. You get our personable and highly-customizable service at all hours – a true 24/7. This means you can use us no matter what time zone you’re in. Enjoy the peace of mind you get from working with a jet charter broker you can trust, and let Air Charter Advisors be your local and global aviation solution for luxury air travel, aircraft acquisition and private jet management. Aside from our accessibility, we offer jet charter clients the opportunity to work with an aviation broker they can trust. All costs, fees, and charges will be set on the table right from the get go; there will never be anything on the bill that was not discussed beforehand. Along with that, you can expect to get exactly what you ask for in terms of amenities. If you want a specific type of meat, cooked a certain way, and prepared a certain way, you will find each stipulation will be meticulously adhered to. Gourmet catering surely isn’t the only amenity we offer, either. Luxury ground transportation, private helicopter lifts, luxury yacht charters, in-flight Wi-Fi, attentive cabin crew and plush interiors: we can arrange all of this and more upon your request; just ask your personal jet charter broker. Request a quote now, or give us a call to book your luxury private flight to Cancun, Mexico. Charter a private jet to Cancun, the number one spring break destination in Mexico. Foreign investors came in back in the 80’s, assessed the lay of the land, and picked Cancun. They looked at sand quality, water clarity, hours of sunlight, and analyzed every last detail until they found the perfect spot to develop – they most likely chartered private a jet for the task as well. That’s what Cancun is! It’s designed from the ground up to be the perfect getaway, regardless of your plans. It’s good for exploring and experiencing culture. It’s good for relaxing on the beach and doing nothing, yet never being bored. It’s good for scuba diving (think reefs all around), water skiing, sailing, and just about every water sport you can think of. And, of course, it’s good for partying. Cancun’s college-fueled spring break reputation needs no expounding upon. However, we will point you towards a few of the more reputable joints in the area; it can certainly get a bit seedy if you don’t know where you’re going. As long as you stay in the high frequency areas after your private flight, you have nothing to worry about. Pictures of Cancun before the 1980’s are strikingly bare – bare of hotels, people, development of any kind. It looked like a no man’s land where a few Mayan fishermen might have lived out their lives in relative comfort and seclusion – maybe in coexistence with some iguanas and tropical birds. However, the Mexican government had plans for a new resort town. They wanted something grand, something that would attract people from all over, something perfect. They wanted Cancun. Modern day Cancun is an interesting city of immigrants from all over Central and South America. You’re extremely unlikely to find a Cancun native over thirty-years-old; the city simply hasn’t existed long enough. It’s transitory – the “locals” come during season to find work in the resorts, bars, and other tourist establishments, and then they head back home. There still exists a local infrastructure, but the people that live there all-year-round are far and in between. After your private charter flight to the Yucatan Peninsula, you’re just as likely to see Cubans and Uruguayans as you are Mexicans and other visitors. The title of this paragraph is rather self-explanatory. Partying in Cancun; it’s pretty much what you do when you’re here. We arrange private flights to the city all the time for that exact reason, whether it’s a couple looking for a romantic getaway or a group of college spring breakers going in on a private jet together. The first thing people say is that it’s wild. They say it’s touristy, and then they say it’s almost sad. Sad because many imagine Cancun as a place where locals live in peace and jeer at the tourists turning their town into a party destination. That’s simply not the case. Cancun started as a party destination, and most of the locals are passing through to take advantage of the money. There are very few places on the planet where so much money, effort, and time has been devoted to creating what is simply a cater-designed space of revelry and (let’s face it) debauchery. 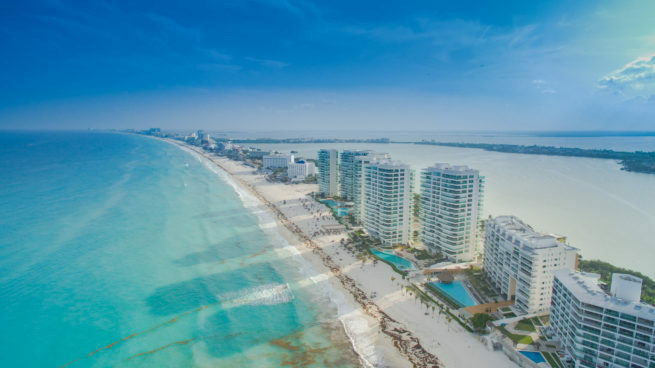 We recognize Cancun is a fun destination for private flights, and we’re here so our private jet charter clients can enjoy it in all of its glory. 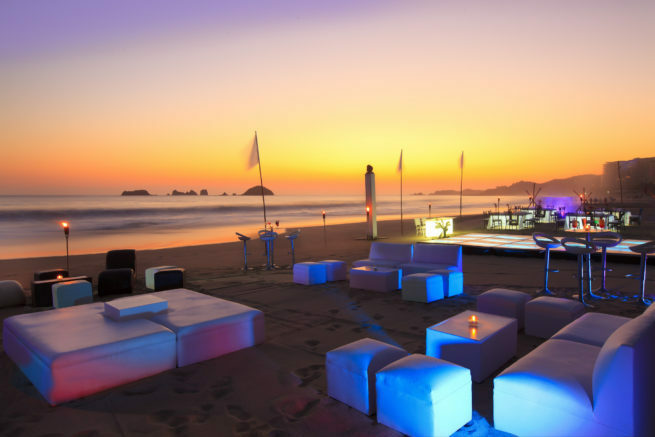 Whether you’re partying or not, Cancun is a royally good time – especially when you charter a private flight. You could go your entire trip without setting foot in a club or a bar, and you likely wouldn’t even notice. Cancun is definitely big enough to steer away from the populated areas, and it’s definitely diverse enough to offer other types of attractions. Water sports, diving, sailing, golf, tennis, and exploring are all there in abundance. You don’t even have to look hard for them; they’re all just as in your face as the partying is. Hotels generally offer packages with any number of the typical attractions. Trips out to the nearby Mayan ruins, or excursions to the best reefs in the area are easily arranged. Cancun Jet Charter can even arrange yacht charter for you if you want to spend a day out on the water. Along with awesome sailing, Cancun offers some of the best sport fishing in the Gulf. Sailfish, Marlin, Wahoo, Bluefin Tuna, and Grouper all have thriving populations in the waters surrounding the city. You need only go a bit farther off shore than usual. As far as inshore fish go, Cancun’s inlets are chock full of Tarpon, Snook, and even Bonefish. The surrounding area is also a gold mine for golfers. There are several championship courses in the vicinity, along with a wealth of other courses suited to all skill levels. Even mini-golf is an option if you brought the kids, or if you aren’t averse to the activity’s cheesy awesomeness. As for tennis, there are courts at more or less all of the hotels in the Zona Hotelera. Every bit of cash flow in and out of Cancun is, you guessed it, tourism related. The service industry is pretty much Cancun’s only industry, and it makes sense considering the city’s past. It was never meant to be anything more than a place for people to come and enjoy themselves. Now it’s grown into a titan compared to what it once was, but its main goal remains the same – showing people a phenomenal time. Whether you’re going as a consumer or on a business trip, our private air charter team can arrange the perfect aircraft to suit your needs. It’s important to make sure you’re on your A-Game when you’ve got a major meeting or conference. That’s when flying private becomes a decision in utility, rather than luxury. Long lines, logistics issues, crying babies and arduous customs procedures make commercial travel an enviable choice when flying for business. 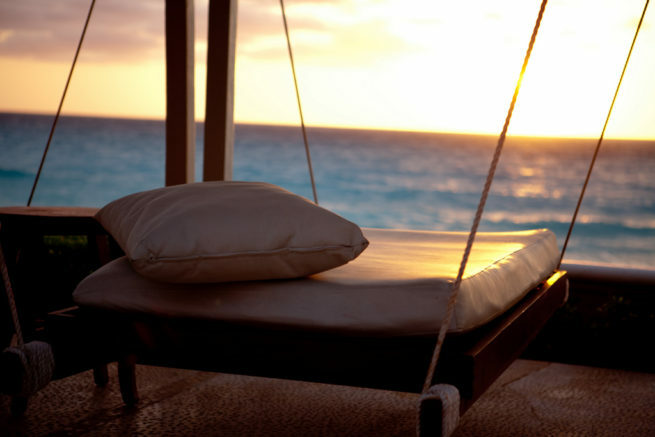 Let us help you book a private flight to Cancun so that you can land refreshed, rather than stressed. If you can’t find a nice hotel in Cancun that suits your needs, then you probably won’t be able to find one anywhere else, either. That’s what this party city is all about! All-inclusive is the name of the game here, and the city practically revolves around the major hotels in the area. The best place for a luxurious stay is in the Zona Hotelera, which is basically the best place to stay in the area. You could stay on the outskirts of the city for a bit more privacy, and even in the center of the city if you want a more cultural experience. But, those hotels aren’t (in general) going to be as nice as the ones in the hotel zone. 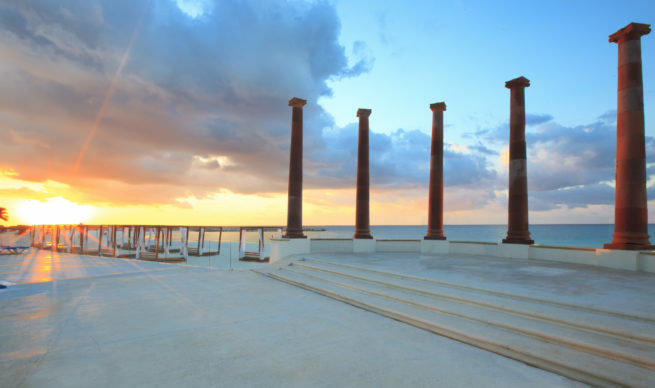 Cancun International serves as the main gateway to Mexico’s famous holiday resort located along the Yucatan Peninsula. Cancun International Airport (IATA: CUN, ICAO: MMUN) is the second busiest airport in Mexico, though it ranked number one in terms of International air traffic. There’s another airport over in Cozumel, but it’s about a two hour drive away from Cancun. (CUN) Cancun International is capable of accommodating any aircraft you could charter for your private flight- the airport has two parallel operative runways that can be used to land jets simultaneously; both runways are made out of asphalt, but only Runway 12R/30L is long enough to accommodate most private jets. Equipped with three functioning terminals, the traffic is well spread out – Terminal 1 feature 7 gates and services most charter flights. Located on Isla Mujeres, a Caribbean island located just 13 kilometers from the coast of Cancun, Isla Mujeres Airport (IATA: ISJ, ICAO: MMIM) is a public and military airport capable of receiving small Cessna aircraft and light jets such as a Learjet. The airstrip is not lit and the air conditions are not favorable at night, prohibiting night-time landings. (ISJ) Isla Mujeres Airport is used exclusively by the Navy of Mexico, and does not currently offer terminal service. Request a Quote or give us a call at 1-888-987-5387 to speak with one of our Cancun Private Jet Charter agents for your next luxury vacation, business trip, or special event.